Gardening from a Hammock helps us get organized by assisting with choices of low-maintenance plants that keep working when we don’t. Talented gardeners tell us why they choose certain plants, how to work the soil, watering techniques, and how to get the maximum benefit from our choices. Essentially, how to garden smart so it’s not work. We are delighted to introduce a low-maintenance gardening book that borrows expertise, tips and valuable experience from nationally recognized gardeners. We also are grateful to all the photographers who so kindly let us use their wonderful photos for the sake of educating and sharing their love of gardening. Please check out their individual websites from the adjacent Honour Roll. We are glad you came by to learn about our upcoming book Gardening from a Hammock. 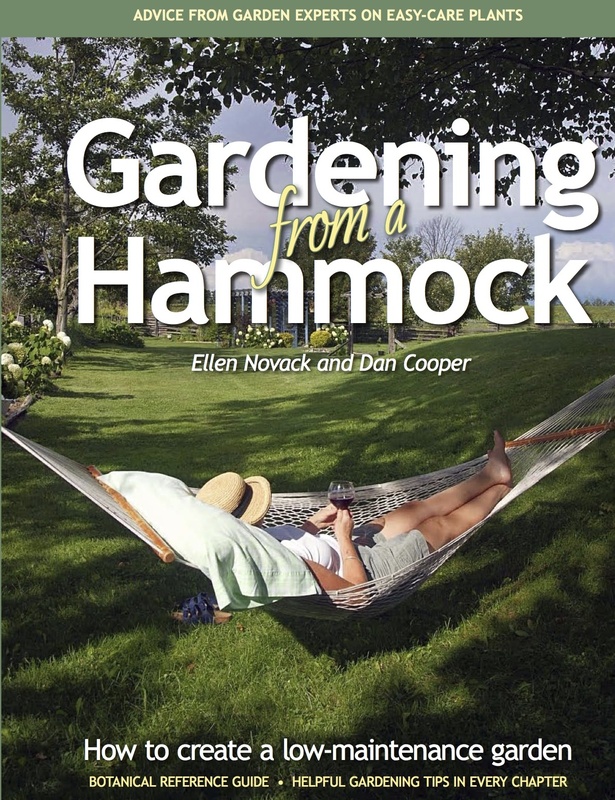 You can check out the Buy this Book page to find the store or garden centre closest to you to purchase Gardening from a Hammock, or get it on-line directly from our website, through Paypal or amazon.ca. Co-author and Master Gardener Dan Cooper will be speaking about low-maintenance gardening based on Gardening from a Hammock. Further information about specific locations and times will be coming closer to the dates. Kim Price Landscape Design Inc.